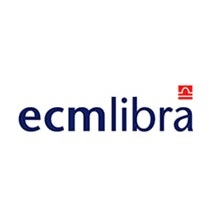 Number of Shares: 480 M.
ECM Libra Financial Group Berhad, an investment holding company, provides a range of financial solutions and services to corporations and individuals primarily in Malaysia. It operates in five divisions: Investment Banking, Treasury, Stockbroking, Fund Management, and Principal Finance and Investments. The Investment Banking division offers corporate finance and advisory services, including mergers and acquisitions, divestitures, and other corporate restructurings; strategic partnerships/joint ventures; privatization and project advisory; capital and fund raising; initial public offering; primary and secondary offerings and placements; general financial and strategic advice; and structured financing services. It also provides support services in the origination of primary market transactions, as well as manages their structuring, syndication, marketing, and distribution; strategic advice on debt fund raising activities through the issuance of fixed income instruments and hybrids; and research services. The Treasury division offers services in private placement and primary distribution of fixed income securities; secondary market-making of fixed income securities; and structuring money market products and solutions. The Stockbroking division provides equity-related trading and sales, market research, and custodian and nominee services to individual investors, institutions, corporations, and government organizations. Its products and services include equity, equity derivatives, and unit trusts. The Fund Management division offers fund management services to pension funds, public listed companies, high net worth individuals, and unit trust funds. The Principal Finance and Investment division manages its proprietary investments in various asset classes and industries. The company was formerly known as ECM Libra Avenue Berhad and changed its name to ECM Libra Financial Group Berhad in January 2008. ECM Libra Financial Group Berhad is based in Kuala Lumpur, Malaysia.